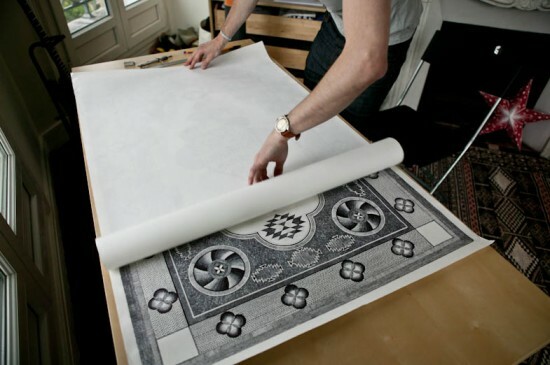 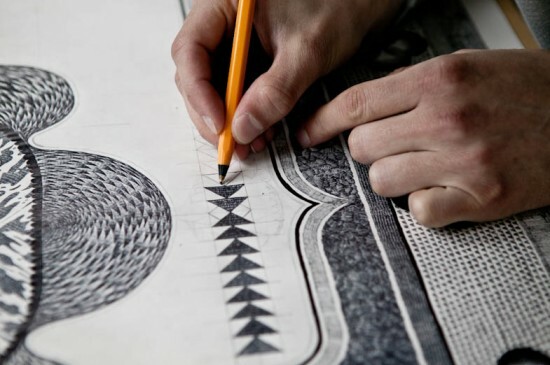 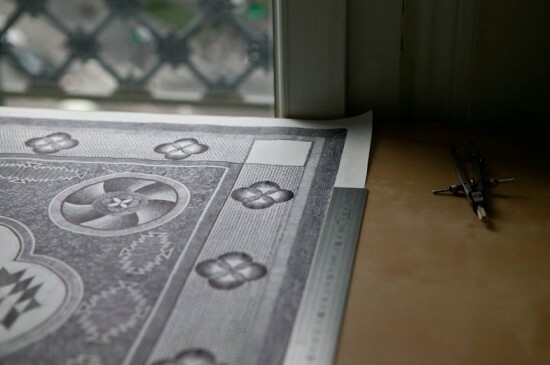 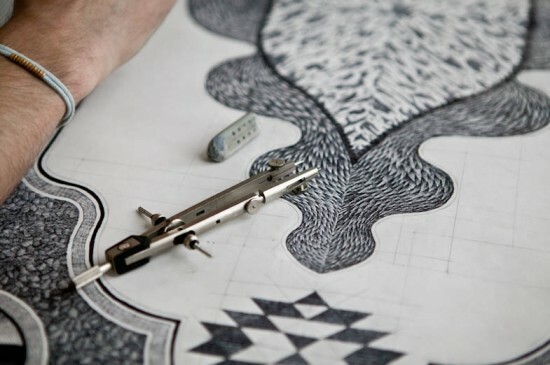 Although he spent hundreds of hours painstakingly drawing this paper carpet, Jonathan Brechignac says he intends to start work on a new one, as soon as this one is complete. 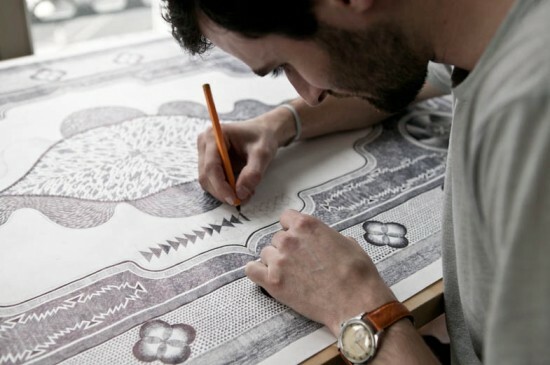 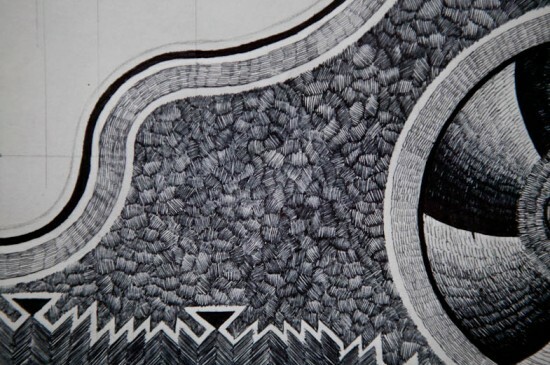 He intends to create a whole series of these incredible rugs, no matter how long it takes him. 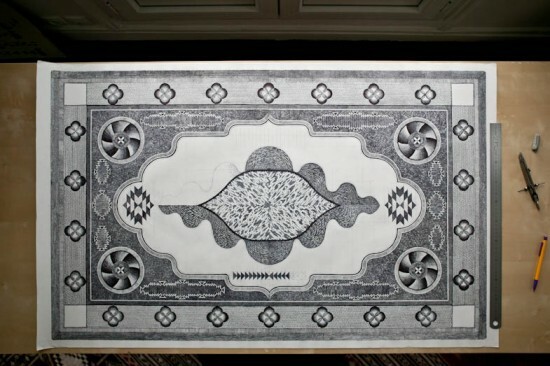 As for this first piece, the artist intends to keep it between two pieces of plexiglass and place it on the floor, just like a normal Muslim prayer rug.